A sudden move last week to return a hip-hop site to its owner after it was seized and held by the U.S. Department of Homeland Security for a year has renewed criticism of the agency's domain confiscation program called In Our Sites. Since its launch in June 2010, the initiative, spearheaded by the U.S. Immigration and Customs Enforcement's (ICE) Homeland Security Investigations (HIS) directorate, has seized hundreds of websites for alleged intellectual property violations, including a raid on "Cyber Monday" that shut down 150 websites for selling or distributing counterfeit goods. Wyden, along with Sen. Rep. Zoe Lofgren (D-California), has previously questioned ICE and the U.S. Justice Department about its domain seizure program. Earlier this year, the duo wrote a letter containing a series of inquiries about In Our Sites. The answers to those interrogatories, though, didn't satisfy the senators. The responses, Wydon declared, "reveal a single-minded determination to stamp out online infringement and demonstrate little if any understanding of the Internet’s value and function." “Particularly troubling is their refusal to explain how linking is different than free speech," he added. "Given that hyperlinks in many ways form the foundation of the Internet, efforts to go after one site for linking to another site -- which the Administration is currently doing and the Protect IP Act would expand on -- threaten to do much more than protect IP." In August, ICE arrested a New York man, Mohamded Ali, 19, for operating two websites that provided links to other sites streaming pirated material on the Net. "Linking sites, like Ali's, provide links to other websites where pirated sporting and pay-per-view events are hosted," the agency said in a statement. "Linking sites are popular because they allow users to quickly browse content and locate illegal streams that would otherwise be more difficult to find." In Our Sites has rankled civil liberties advocates since it was launched. 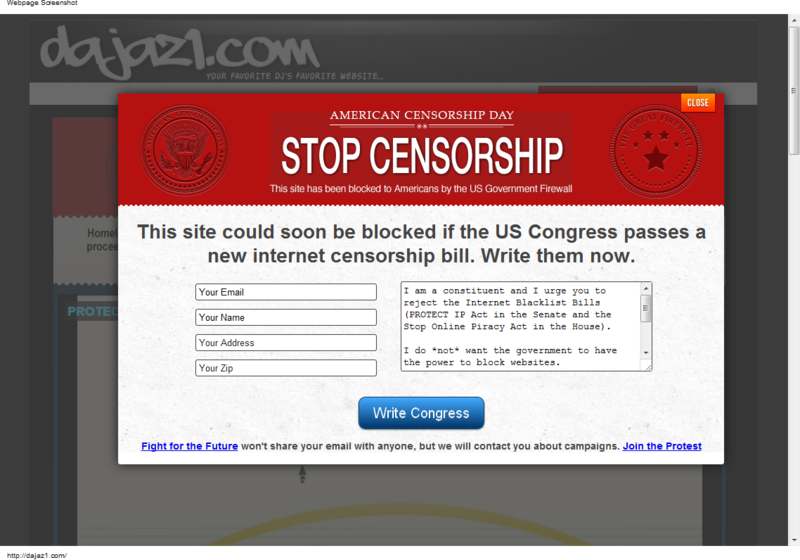 According to Congresswoman Lofgren, the program is nothing short of censorship. "[O]ur government has seized domains with nothing more than the rubber stamp of a magistrate, without any prior notice or adversarial process, leaving the authors of these sites with the burden of proving their innocence," she said. "While this might be enough for the seizure of stolen cars or knock-off handbags, it is not enough for websites and speech on the Internet," she added. "It is disturbing that this administration is treating them the same." Mark Lemley, director of the Stanford Program on Law, Science and Technology and who is representing a Spanish company that has been trying to recover some of its domain names seized by ICE, had harsher words for the feds. "I would have thought that ICE had more important things to deal with than playing rent-a-cop for the entertainment industry," he said Saturday on On The Media.